Our clinic provides office and home appointments for one-on-one healthcare. Here you can receive the nutritional support you need. Whether it's help with a condition, special diet, exercise program, supplements, or grocery shopping, we are here to serve you. We are located in Mission BC, and provide day, evening and weekend appointments for clients who have busy work schedules. Our licensed nutritionist both educates on health tools and strategies, supports your current knowledge, and adjusts your diet and nutrition program to suit your lifestyle, providing the best wellness options possible. We research the specific health and diet protocol for your condition, and also provide holistic perspective into how to incorporate these into your busy life. 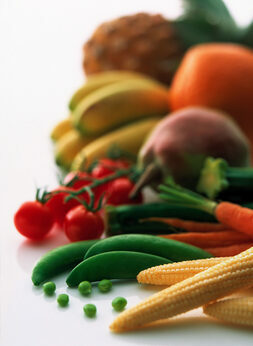 The nutritionist will create a food plan for you. We don't call it a "diet". These plans usually cost from $400-$700 and we include it at no cost during your first one hour appointment. We also measure your progress using our state of the art body fat scale. We can measure your loss of fat over muscle and help keep you focused on health over weight loss. We can track your body's water content, bone mass, muscle mass, and caloric needs as well. The nutritionist is available for both in-person sessions, or over the phone, as well as question and answer, and grocery store tours. She offers individual or group children's appointments, with or without a referral. Nutritional recommendations are easy to follow and provide the incentive to stay on the road to health and wellness. 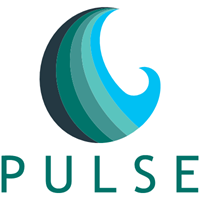 Our P U L S E nutrition clinic provides the holistic support you need to manage your symptoms naturally. If your worst fear is of being put on a diet, you have come to the right place. We are not covered by all medical plans, but you may apply for coverage if you have extended medical. We believe in making good nutrition affordable, that's why we don't have the 50% markup on our vitamin supplements that you will find in health stores. If you are on a fixed income and can't even afford an appointment, contact us for our special rates for disabled or marginal clients. What does a nutritionist do differently than a doctor? A nutritionist has spent years learning about biochemistry, and the properties and science of food. A nutritionist knows what is in every food on the market, because they have access to the full nutritional tables, a database of information about the nutrient content of foods for every known nutrient. A nutritionist has access to every medical library in every major university in the world, and know how to do complex research. These libraries hold the Nutrition and Psychology Journals that host every published study on food, nutrition and human behavior. These journals are essential to understanding what works for improving your health and why. They hold the gold standard of nutritional science to every educated researcher. They are also the basis for the nutrition info you read in the newspaper or in magazines. A nutritionist will navigate the current nutritional studies and recommendations for your condition to simplify what actually relates to you personally. Get a professional to do the work for you! Talk to someone you can trust as you make health decisions. Work with a professional who knows how to function in a holistic team with your doctor, counsellor, naturopath and more. . . Obtain from us the latest info about supplements, diets, food, and health food store products during your comprehensive health assessment and wellness appointment. Not everyone believes that supplements are right for their family, even if only for added insurance. You may think . . . maybe in the Third World, but not here in North America. If that is how you feel about pills, don't worry we can tweak your food intake by just analyzing your diet and recommending high quality foods. Emily Isaacson is a reputable and educated voice in the field of nutrition you can trust. If you are interested in essential oils and other products, visit the Apothecary Shoppe and see our selection of native and apothecary products at our online store site.